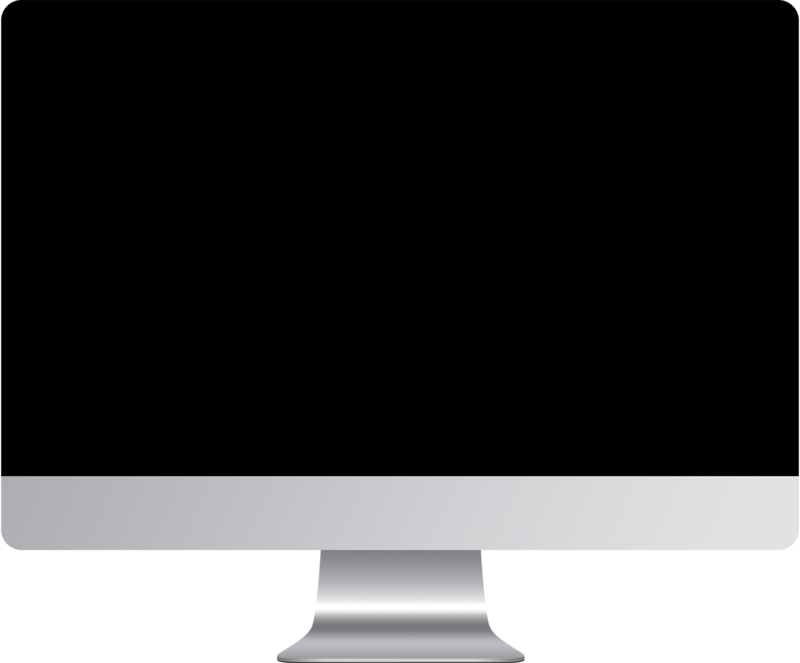 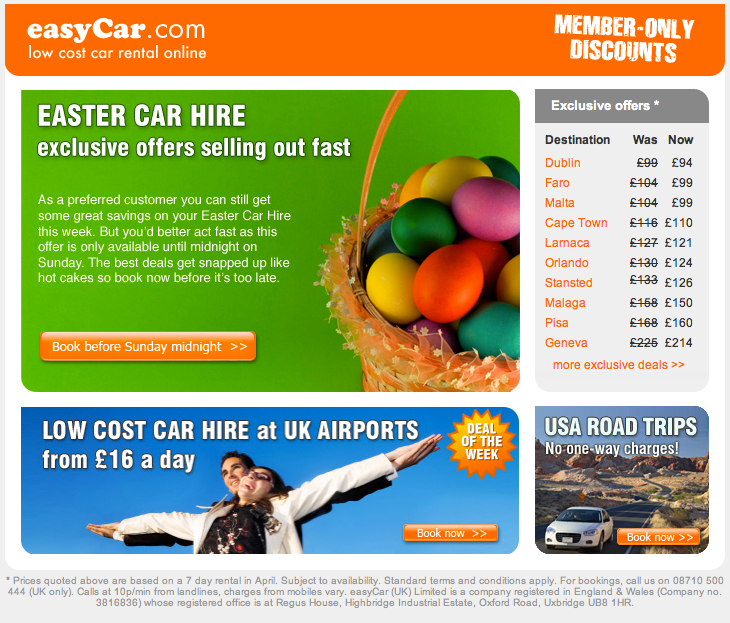 Website design and usability testing for Stelios's low cost car hire company. 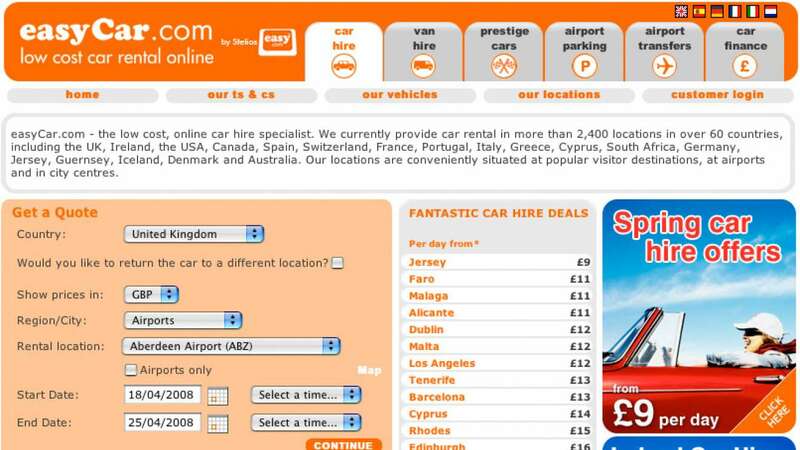 One of our designs was awarded 5 stars by New Media Age in November 2008. 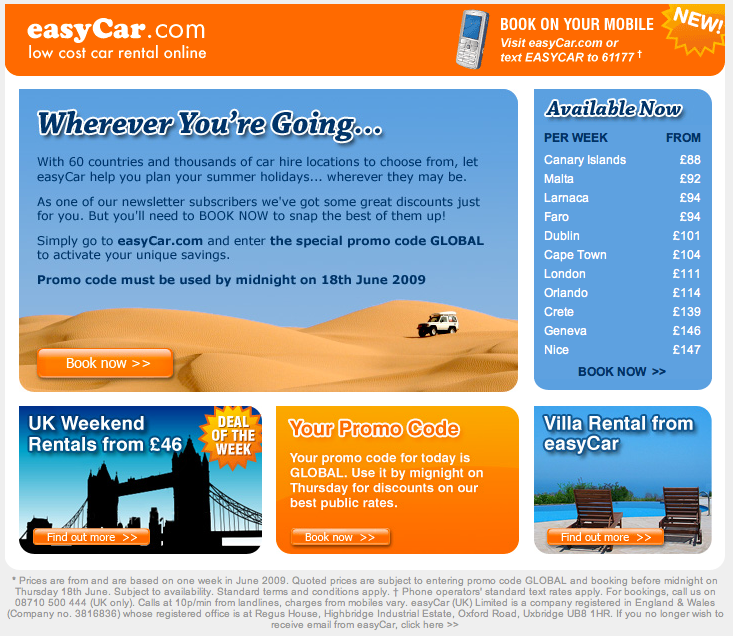 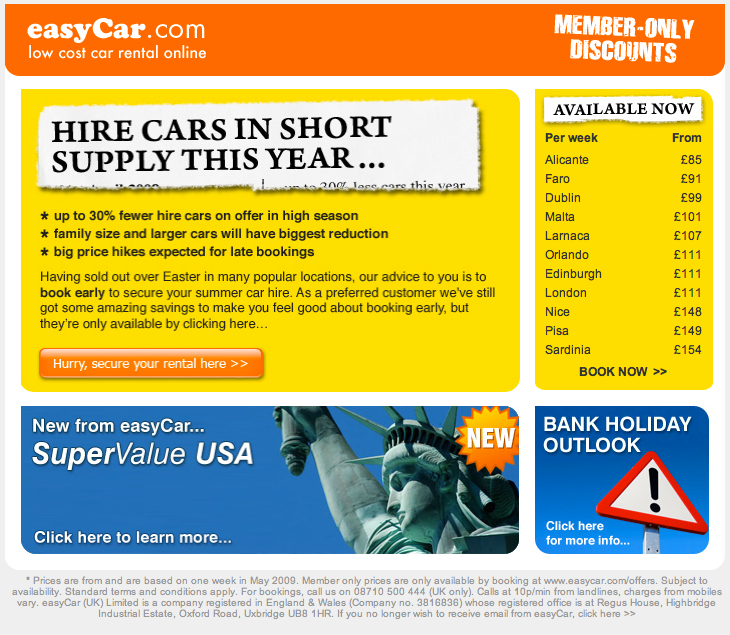 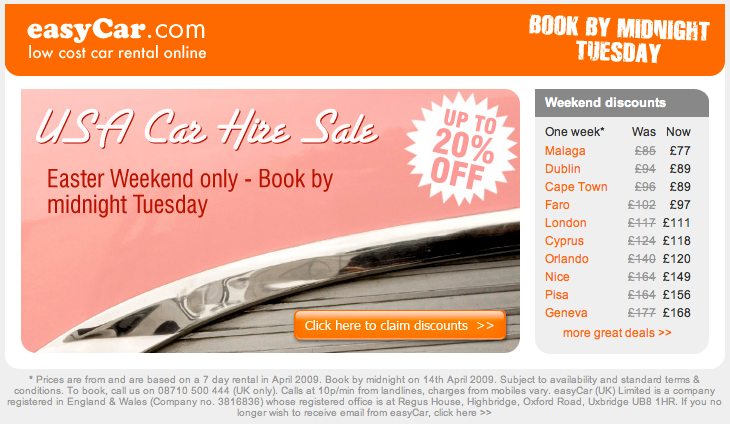 Design, coding and broadcast of of easyCar's HTML newsletters plus campaign tracking and reporting.